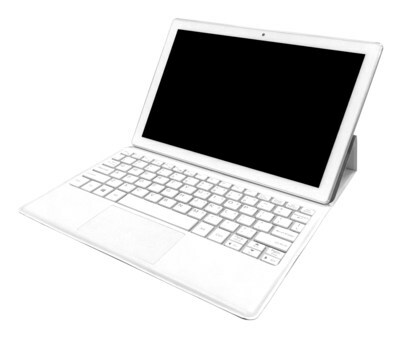 WEST COVINA, Calif., Jan. 3, 2017 /PRNewswire/ -- E FUN, a leading designer and manufacturer of mobile lifestyle products, will be introducing two new models to its line of Nextbook Ares Android tablets during CES 2017: the Ares 12 Flip 2-in-1 and the Ares 8A. Both are Bluetooth and Wi-Fi enabled and come with many favorite apps preloaded. "Android is now the most popular OS for portable devices," remarked Jason Liszewski, E FUN managing director and VP of sales. "These two new Nextbook Ares tablets make excellent use of all that the Android OS has to offer. One of which is access to the Google Play Store and its myriad selections of apps, movies, music, books, and more. It's just one of the reasons – along with some pretty impressive features – why the Ares 12 Flip and Ares 8A are perfect for multitaskers of any age." The new multi-function, affordable E FUN Nextbook Ares 12 Flip 2-in-1 Android tablet is an ideal selection for professionals, students, and casual users. As a tablet, its sizeable 12.2" 1920 x 1200 high-resolution IPS touchscreen is the perfect size and image quality for a variety of activities from watching videos to playing games, checking out favorite web sites, and being actively engaged in social media. Then, when it's time to get down to work, attach the full-sized, Pogo-pin keyboard and start typing away. The Ares 12 Flip 2-in-1 tablet features an Intel® Atom™ quad-core processor, an Intel GEN8 graphics processor, and the Android 6.0 Marshmallow operating system. It comes with 64GB of internal memory that can be expanded to 128GB with the microSD card slot. With its Wi-Fi and Bluetooth 4.0 support, the unit can easily be used around the house, around town, or even around the world. A rechargeable Lithium Ion battery provides up to eight hours of power when fully charged. Other features include 2MP front and 5MP rear cameras, a micro HDMI port, and a 3-axis G-sensor for game players. The Nextbook Ares 12 Flip 2-in-1 Android tablet will be available for shipping beginning in Q2 2017. The new Nextbook Ares 8A Android tablet is designed to keep users entertained, informed, and connected. Its 8" 1280 x 800 IPS touchscreen and 16:10 aspect ratio assure easy operation and crisp, sharp high-definition images. Built-in Wi-Fi and Bluetooth capabilities provide easy Internet access from practically anywhere. With 16GB of internal memory and additional storage via a microUSB port and an up to 128GB-capacity microSD slot, there's plenty of room to store photos and videos captured with either the unit's built-in 0.3MP front or 2MP rear-facing cameras. Fast, smooth performance is assured by its Android 6.0 Marshmallow operating system. The Ares 8A's Intel Atom quad-core processor lets users play games or stream videos smoothly and quickly. A built-in micro HDMI port allows videos, streaming content, and other high-definition material to be shown on any compatible TV. A rechargeable Lithium Ion battery provides up to eight hours of battery life. The Nextbook Ares 8A Android tablet will be available for shipping in Q1 2017. An excellent selection of apps is preloaded on both models. The Barnes and Noble NOOK app is a digital bridge to the wonderful world of reading, while the VUDU Movies and TV app provides instant access to hours of great movies and TV shows. Local movie schedules can be found at the Flixster app while Net Nanny assures the young ones are watching age-appropriate shows. Additionally, with the Google Play Store, users have literally thousands of choices from the latest video games – made even more exciting with the units' 3-axis G-sensors – as well as all of the popular social media sites. For more information regarding either of these new Nextbook Ares tablets, visit www.nextbookusa.com.